Fiery and imposing. Aggressive and powerful. 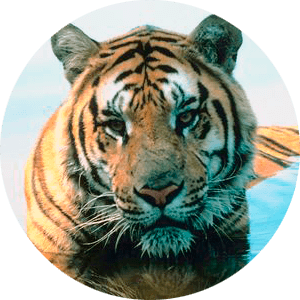 Tigers have aroused fascination in humans through millennia, but they have also experienced threats in their natural environment as a result of human activities. The Tigers have an anatomy with over 600 muscles and a strong bone structure that makes them apex predators their natural habitat. They can leap more than 30 feet in a single jump which gives them an advantage when it comes to finding and attacking their prey, and they evolved from their ancestors for almost 2 million years continuously adapting to their environment. 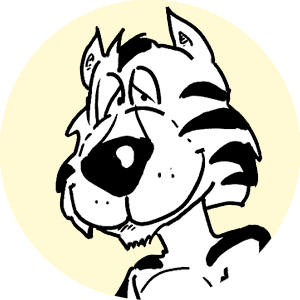 Tigers are ruthless and efficient hunters and lonely walkers. Around them, there is a mythology that puts these cats as symbols of positive values: strength, fierceness, tenacity, and power. Their elegant gait, haughty demeanor, and their dynamic movements are an example of an adapted anatomy for hunting. Since tigers are at the top of the food chain, they are considered super-predators. Like the other big cats, tigers are skilled hunters who make use of different techniques to kill other animals, mainly ungulate herbivores, which are their primary food. When detecting a prey, they move very stealthily as close as possible but at a distance to avoid being discovered. Then they slowly creep towards the prey and jump taking it by surprise, so it has a small chance to escape. When Tigers catch prey, they bite their neck between the vertebrae to break the spine and kill the animal. Although Tigers are extremely efficient hunters, they don’t always make the kill as you would expect them to. When they can sneak up on the prey, they only have a few seconds to pounce and to kill them by biting them in the neck area. They can take down animals much larger than themselves. Unlike lions, tigers tend to roam and hunt alone. However, on occasions, they share the prey with other tigers which is a good indication of their level of sociability. If you expect to see a streak of tigers, you will not get lucky. 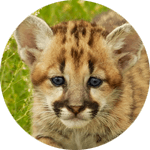 These cats differ from lions because they usually roam alone. They hunt, feed and rest without the company of other tigers and lack a defined social structure. However, from time to time they hang around with others, and evidently, they interact during mating. Tigers have a sociality classification of solitary-but-social which includes those animals that look for food alone, are territorial, but can briefly socialize or sleep in similar locations. Tigers are solitary except when they try to mate, but after breeding, they go in separate ways. The female will look for a den to keep its cubs after birth, which takes place approximately 16 weeks after the conception. The cubs are blind at birth, and she will feed them with milk from her body for about eight weeks before they venture outside the den with the attentive care of their mother. A tigress may have a litter of 3 or 4 cubs at a time. Since males are always independent and solitary, they do not participate in the tasks of taking care of the young. Instead, the females are responsible for feeding their cubs because they depend entirely on them during the first weeks. When the offspring are old enough, mothers teach them to hunt. People’s fear of tigers have made them be depreciated and accused of attacking men, which has contributed to some extent to their current situation. Also, they continuously face threats such as poaching and habitat loss, which has put them in a grave danger of extinction. 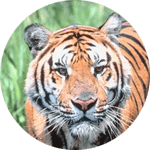 From the six subspecies, three are “Endangered, ” and three are “Critically Endangered” being the southern Chinese tiger (Panthera tigris amoyensis) the most threatened of all since for more than 25 years there have not been records of sightings in the wild. 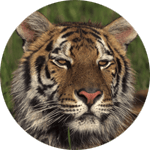 The conservation status of the tiger is adverse, and the global population keeps reducing. Many organizations and governments are doing an arduous work to protect and preserve these cats. Even with conservation efforts in place, the future of tigers seems uncertain. However, the 2016 census made by WWF brought some hope to conservationists as for the first time in a century the tiger population increased. The problem is not solved because the fragmented habitat deters subpopulations to mix reducing, even more, the mating opportunities. When experts say that the population of tigers in the wild is small, it isn’t an exaggeration. There are less than four thousand specimens, and some subspecies are already extinct in the wild. These numbers make hard to achieve reproduction rates appropriate to increase the populations. Protection against inbreeding also needs to take place so that they keep the genetic diversity. One of the problems that contribute to their decreasing population is that less than half of their offspring live less than two years, not being able to reach a mating age; Those that do survive though usually live about 15 years in the wild. In captivity, they live longer about 20 years on average. The public opinion about an animal is essential in supporting its conservation efforts. 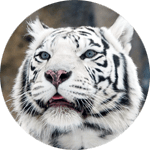 In this sense, it doesn’t help that tigers are often in the spotlight when negative things involve them like the attack in Las Vegas at the Siegfried and Roy Show or tigers that escape from zoos and attack visitors, and even in the circus that have attacked trainers or people in the crowd. While these incidents are isolated, they tend to get a huge amount of attention in the media most of the time without considering that are the result of using wild animals for entertaining. Tigers are the largest cat in the world. Their vision in the dark is about six times better than that of humans. Tigers can consume up to 40 kilograms of meat in a single meal. Tigers live in Asia, from India to eastern Russian, extending as south as Malaysia and Indonesia. 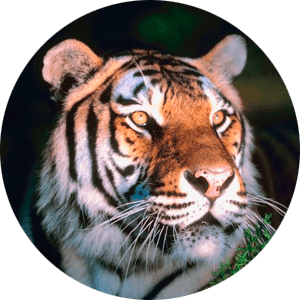 Tigers live in a wide range of habitats from the taiga to grasslands and tropical swamps. The Tiger is the largest cat species. The Tiger is the third largest carnivore on Earth, only after the Polar and Brown Bears. Tigers have large canines that measure up to 3 inches long.